The excitement of gambling competes with Blondies Sports Bar & Grill located in the Miracle Mile Shops to satisfy the most critical food and sports enthusiast. 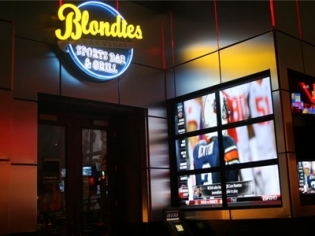 This eating, drinking and partying sports bar comes with cheer-leading waitresses and 60 big screen TVs. Go from the pregame show (appetizers) to the touchdown (dessert) all in one visit and create an unforgettable Vegas experience. 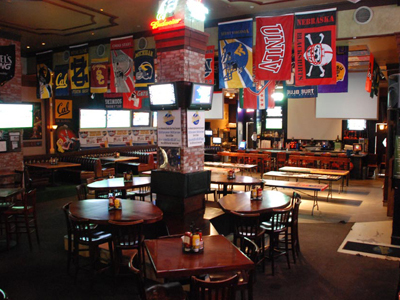 Voted Best Sports Bar in the country by MSN and Gayot! You can even make reservations during football seasonto enjoy the game of your choice! 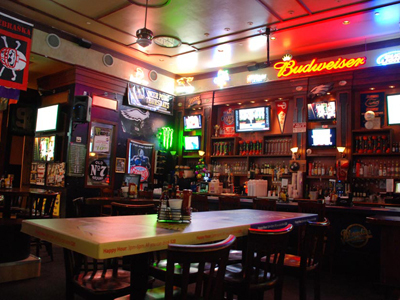 Happy Hours daily 3pm- 6pm and 10pm-1am, $20 all you can drink domestic drafts and well drinks. Nice selection of food, beer and sport. The service was excellent. My friends and I had a great time. Beer pong with sports on TV’s all around you….yeah baby!